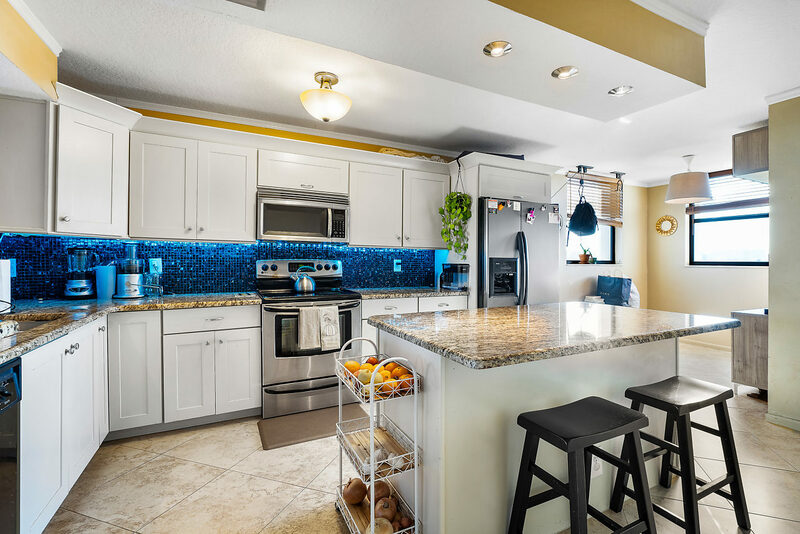 This updated residence boasts outstanding features including fully upgraded kitchen with granite countertops, premium custom wood cabinetry, stainless steel appliances, recessed lighting, crown molding and large center island. Open floor plan offering spacious living and dining area, ceramic tile laid on diagonal and laminate wood flooring throughout. Open balcony patio with prime views perfect for enjoying picturesque South Florida weather year round!